St. Francis School of Law is an online law school that offers unmatched academic excellence. 100% of St. Francis students passed the FYLSE the first time in June 2017. Earn your Juris Doctor degree from the first not-for-profit online law school. 66.6% of St. Francis graduates passed the July 2016 California Bar Exam the first time, exceeding the 62% first time pass rate for California ABA law schools. St. Francis School of Law offers students who excel in a rigorous academic environment the opportunity to achieve a high-quality legal education in an online Juris Doctor program that provides flexibility and convenience. St. Francis students consistently perform better on the California First Year Law Students Exam (FYLSE) and California General Bar Exam (CBX) than students from other law schools, including many schools accredited by the Committee of Bar Examiners of the State Bar of California and approved by the Council of the Section of Legal Education and Admission to the Bar of the American Bar Association (ABA). 79.6% of St. Francis School of Law students taking the FYLSE from October 2012 through October 2017 (the last 11 times it has been administered) have passed the FYLSE. 75% of St. Francis School of Law graduates who have ever taken the CBX have passed the CBX. Our innovative curriculum, highly accomplished faculty, and experiential learning opportunities prepare our students with the legal doctrine, theoretical framework, and practical skills training they need to practice law effectively as soon as they graduate. 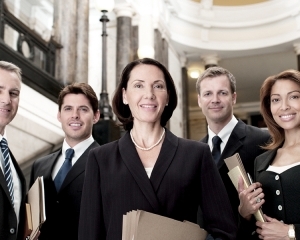 St. Francis focuses on both the quality of legal training and professional skill development. By gearing the law school experience to this deeper level, our students graduate with the critical thinking, speaking, writing, and other skills needed to solve complex real-world legal problems. Now accepting applications for Spring 2019. Apply Today! The professors at St. Francis are true professionals with extensive experience in their chosen fields. I have always appreciated the St. Francis focus on the practical, real-world, hands-on, on-the-ground view of the law. St. Francis opened the opportunity for me to attend law school and prepare for a career. I'm challenged and fulfilled by the experience! When I found out that an online law school had been established, I knew I wanted to be part of it. Many students have already enjoyed tremendous success in other professions, and that experience is evident in the quality of discussion in class. My time with St. Francis has been rewarding. You've exceeded my expectations and given me a wealth of knowledge and confidence. Bottom line, St Francis provides superior groundbreaking online legal education. I am proud to be part of the team. Unique among law schools, St. Francis has small class sizes and a highly experienced faculty. Our innovative technologies support face-to-face classroom sessions and encourage increased student-faculty contact outside of class. It’s the ideal program for those who want to learn the law on a deeper, more meaningful level.